8 Please give me the pink puffle from aqua grabber swf. 9 Penguin pal had it. 20 Aren't your still editing? 23 Put the music now. 68 Does your source have this swf? 69 How many more swfs do you have left to upload? Please give me the pink puffle from aqua grabber swf. Want to find the pink puffle. Go to flash deco pilfer to look at it. And it's part of [media1.clubpenguin.com/play/v2/games/sub/subgame.swf this one]. Also look at this one too. In Bolts and Bits that was the only mp3 music but PUFFLESCAPE TOO!!! I miss the one who maded this talk page part. ClubPenguinMaster. I uploaded these 2 files, but didn't realize that they have already been uploaded. Can you delete them please? I've found the Club Penguin Times Issue #96 here. Would you please upload it and add it to the page? I feel like helping you guys out here, but the problem is that I don't know in which section I should help. Since you are an admin here, I believe you can tell me about any particular section that has missing files or needs improvement. Club Penguin Wiki articles: English - Português - French - etc. I've uploaded several files today, but accidently gave some 2013-styled wigs titles that should have been given to their original version. I didn't have time to fix them all for now, so can you please delete these remaining files for now? May i request flagging Syster as a bot, and also giving it uploader rights? There's this upload script that i've been testing which works pretty well, though it really floods the RC, so it hought that making a bot instead is a better idea. Hey Mario, I've found the Back Stage SWF here. Could you please upload it and add it to Music Jam 2008? Hi Mario, I noticed that there is a template for temporary party minigames, but not for regular minigames. So, I created a template for it here. Would you please add it to MediaWiki:Licenses? By the way, how does the page Hydro Hopper look? It's the first page I created, so let me know if there's anything I need to change. I'll try to create the articles for other minigames in the next few days. I uploaded the files for issue 452 of the cp times, but have just realized that the page is under construction by you. Anyway, try perhaps importing this script. It's still not finished, but it may save you some time and possible a headache or two. I propose to remove Category:SWFs of Club Penguin for the same reason Category:Club Penguin was removed on the Club Penguin Wiki: it's redundant. The headline sayes it self. And by the way, do I have to edit the .swf file before oploading? Hello Mario Rk, how are you? I see you and Nando have been removing the uploader rights from inactive users. I'm not here to complain about it, but I think this shouldn't be done. Uploader rights should be given to anyone who can be trusted, so, in my opinion, it doesn't make sense to demote inactive users, since they could eventually come back and not be able to upload files. It's different than administrators, who have an important role on the Wiki and therefore can't become inactive. By the way, what do you think of the new sidebar? I tried to make the layout match the ones from the other Wikis of CPWN. Do you think something should be changed? Thank you! It looks like the file links for the Town SWF are broken on quite a few party pages after you renamed the files. Would you be able to use a bot to fix the broken links? Hey Mario, I applied for 'Uploader Rights' a few days ago and was wondering if you could check out the request when you have the chance. Much appreciated. Thanks mate, I'll begin uploading as soon as I finish organizing and categorizing this large mass of junk on my computer. Can you please check the Request permissions page and respond to the requests for uploader rights? An admin has not processed any requests there since November 2015, and there have been 5 new ones since then. I tried leaving Nando144 a message in February to check the page, but he seems to be inactive. This is one of the largest databases for Club Penguin files, and I'm sure many people use it, so it doesn't make sense that there are so few contributors. As such, any chance for potential new uploaders here would be great, but there needs to be someone approving the requests. Don't know if this is the best place in the world to ask, but I just wanted to know if anyone has uploaded the paint by letters .SWFs yet. I found "Lime Green Dojo Clean" with a quick google and archive.org visit, and wasn't sure if that would be an ok thing to upload. I've recently added a new topic to the Club Penguin To-do Archive talk page. If you could take a look at it ASAP that would be great. Riyita recently made some 2005 - 2010 SWF files public on Club Penguin Space. I keep getting the following error when submitting the file I want to upload. Actually, I think they all show up here too, with many more. 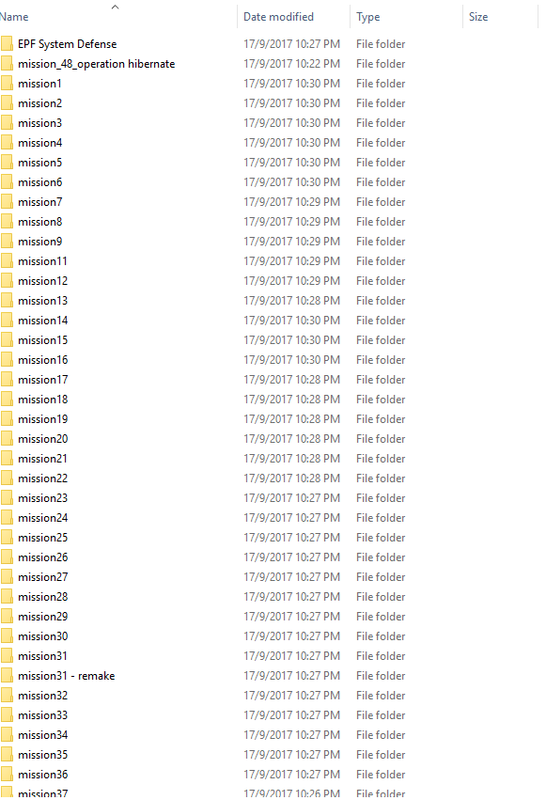 I have a bunch of Field Ops missions' files. Do I create a page specifically for that? Searching for Field Ops in this Wiki returns nothing. Where did you find these files? Also, do you have the SWF of the Coffee Shop during the Valentine's Day Celebration? It had a "Happy Valentine's Day!" sign taped to the window. Well, wherever they're from, release more if you can. It's good to see history like this being uncovered after all these years. Do you have more SWFs from 2006? Earthquake- Was concurrent with one mission over the summer, maybe Mysterious Tremors? Storm- Sometime in October, either before or after the Anniversary. After, I believe, concurrent with the Halloween Party. 2009 Color Vote- July 2009, started after the Music Jam and finished on the same day. Fire Scavenger Hunt- Right after The Fair ended. Storm 2009- Probably concurrent with Halloween, and visible in the binoculars sooner. Celebration of Fire- Right before the Winter Party. Can you please reveal the source of where you are getting these? I want to see if there is anymore of them. P.S. I don't know what else I could do to help on archives since there's a lot. Is there anything specific you can think of that might also be easy for a lazy languorous person like me? Does your source have this swf? I was wondering if the anonymous source you have has the beta test party swfs from 2005. Also could you upload all those swfs that you got from your anonymous source to google drive? How many more swfs do you have left to upload? How many more of those swfs you were given do you have to upload now? What number of them? Hi, Mario. There appears to be a recurring problem of you moving files without leaving redirects and not updating all file links. As you can guess, this results in broken file links on pages, which can be inconvenient for anyone trying to view or save files from the wiki. Do you know about Special:WhatLinksHere? It's a useful feature that allows you to see if a page or file is linked on any pages. To quickly access it, click "What links here" in the "Toolbox" section on the left sidebar. When you move files, please check if there are any pages listed there, and if so, update the file links on those pages. It's been almost half a year and they still haven't been fixed. Any plans to fix them? I uploaded the missing medieval party 2013 snow forts swf file. And how I uploaded those swfs that wouldn't upload before was I put them on deviantart and then I posted the url to the swf itself and then it uploaded onto here without any error. Do you happen to have the Dock SWF while the Balloon pin was hidden? I really want to know where it was hidden there. As you said in your comment to MasterLoopy, there is a chance you have more normal room files from 2006 era of Club Penguin. Can you upload the rest of them to this Wiki? This page was last modified on 14 October 2018, at 20:43.